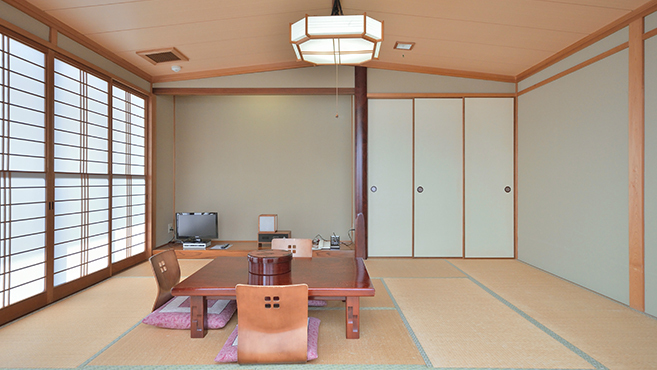 Enjoy the timeless richness of wood and the relaxing atmosphere of tatami flooring. 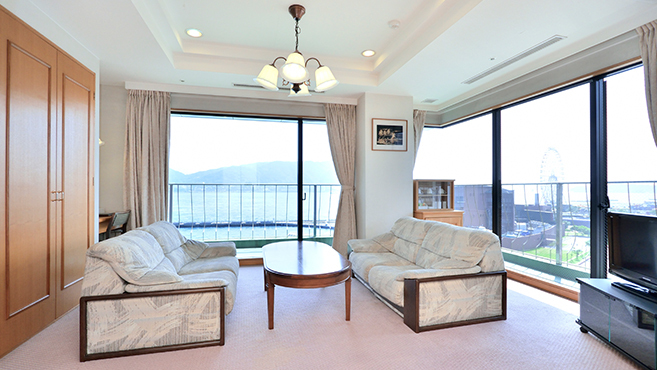 These rooms offer a beautiful view in harmony with their luxurious combination of tasteful Japanese-style rooms and Western-style rooms equipped with sofas guests can lounge on. 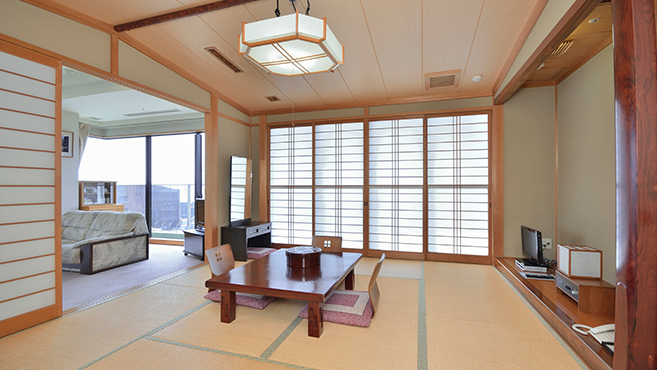 Across from the shoji screens is the sparkling sea. The sounds of steam whistles can be heard from the room. Have a relaxing time as you experience the room’s distinctive elegance and comfortable amenities.